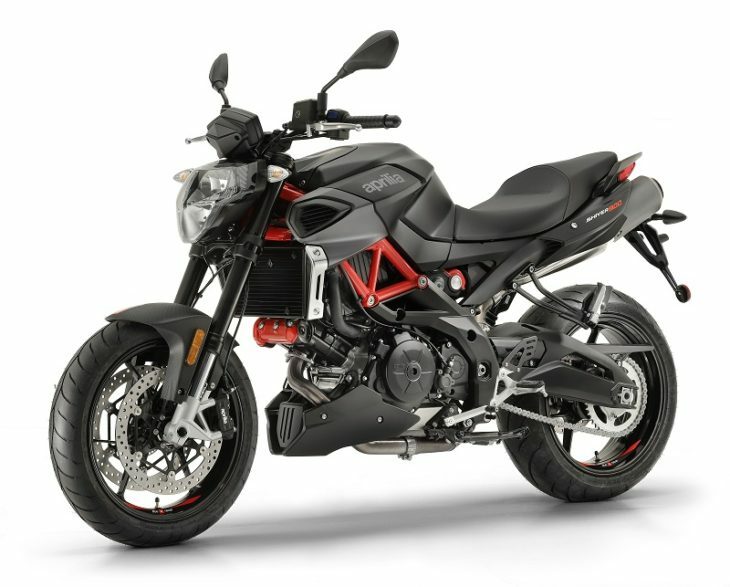 A non-conformist sport naked, Aprilia Shiver 900 emphasizes a distinctive design: from the lateral air intake ducts that embrace the front end to the characteristic compact rear end with the exhaust pipes positioned under the saddle, the superstructure – fuel tank side covers, side panels, tail, front mudguard – form an original and non-conformist look. Front: Dual Æ320 mm stainless steel floating discs. Radial, four-piston calipers. Metal braided brake hose. Rear: Æ240 mm stainless steel disc. Single piston caliper. Metal braided brake hose.